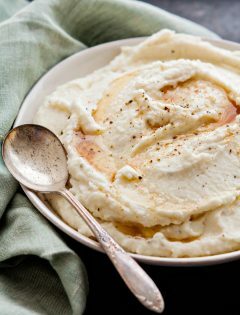 For a long time I struggled with what to do with our side dishes. I mean, I could only take so many nights of steamed broccoli or basic green salads. I needed variety! In time, I learned that there are many simple ways to make veggies interesting as a side. You don’t have to follow some complicated recipe or create a whole new dish. Instead, you just have to be creative about how you cook the vegetables and then think about the flavors you want to go with them. 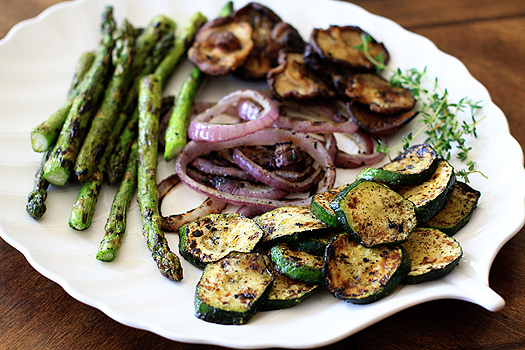 Summertime in our home brings lots of grilled vegetables, especially if I find myself grilling our main dish. It’s easy to add the vegetables and it helps keep the mess outside. Larger vegetables can be placed directly on the grill grates without needing skewers, but you can also use one of those grilling trays made for vegetables, or wrap the vegetables in foil. Grilled Red Potatoes with Rosemary in a foil packet is a favorite summertime side of ours. Tip: For a boost of flavor, try tossing your favorite grilled vegetables in a light vinaigrette. A couple of my favorites are: Marzetti® Simply Dressed® Lemon Vinaigrette and Light Balsamic Vinaigrette. This is one of my favorite ways to serve vegetables in the summertime. During the fall and winter months when I don’t mind warming up my kitchen, I opt for roasting vegetables in the oven. Roasted vegetables acquire a nice subtle, sweet flavor that enhances the vegetables without adding a lot of fat or calories. You can simply toss a vegetable with oil and roast it. Although I tend to rely on roasting in the cold weather months, you can easily roast vegetables in a large toaster oven in the summer without worrying about overheating the house. 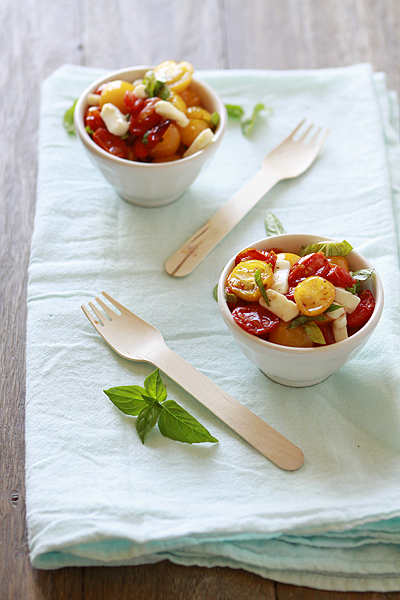 Take advantage of delicious summer tomatoes and try this Roasted Caprese Salad as a side. When cooking vegetables stovetop, opt for sautéing the vegetables in olive oil or sesame oil (for an Asian taste) in a cast iron pan or stir frying them rather than steaming or boiling. For example, Brussels Sprouts that are sautéed with bacon and shallots are so much better than steamed sprouts. 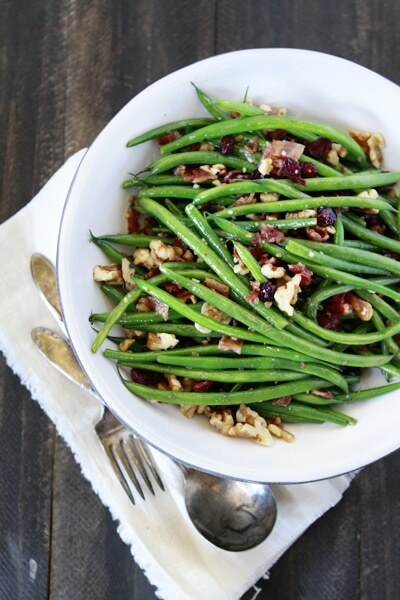 In this simple recipe for Sautéed Garlic Green Beans I boosted the flavor by adding bacon, walnuts, and dried cranberries. So much more exciting that steamed green beans! As you feel more confident in the kitchen, you will definitely want to experiment with a combination of the above choices, and maybe you’ll think of more options and add-ins that work for you. Here are a few of my favorite add in ideas, but you can certainly experiment beyond this list! Fresh herbs and bold spices can bring out flavor and complexity to the simplest of vegetable sides. Cumin and Chili Powder are surprisingly good with roasted sweet potatoes for a Mexican side. Adding oils and acids to a vegetable – it can be steamed, roasted, grilled or sautéed – adds a lot of flavor. I especially love to grill summer squashes and drizzle them with olive oil and balsamic vinegar. 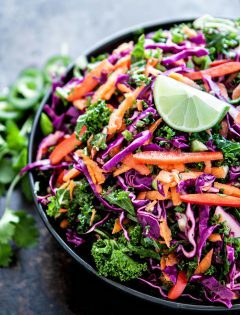 It’s fun to experiment with different acids – salad dressings (I love Marzetti vinaigrettes, flavored vinegars, soy sauce, and citrus juices work great – and oils (butter, browned butter, bacon drippings are also complimentary to many vegetables). Marzetti salad dressings are great because you get the flavor of oil, vinegar, and spices. It makes a very quick step to add some flavor to your vegetables. Vegetables can often be made more exciting by pairing them with a partner. Try pairing two complimentary vegetables together, such and zucchini and tomatoes in the summer. In the winter, caramelized shallots go great with broccoli, green beans, Brussels sprouts, and more. Add cheese – that’s pretty simple. Mozzarella, parmesan, blue cheese, feta, and goat cheese…there are so many choices! Nuts are a great way to add a little more excitement and texture to a vegetable. 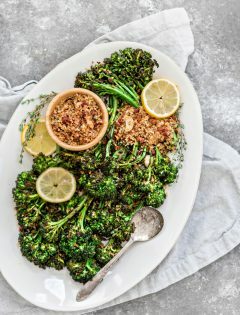 Toss toasted almonds or pine nuts with roasted broccoli. Dried cherries or cranberries add a hint of sweetness. Whip up a fun dipping sauce. This is great to encourage kids to eat their vegetables. 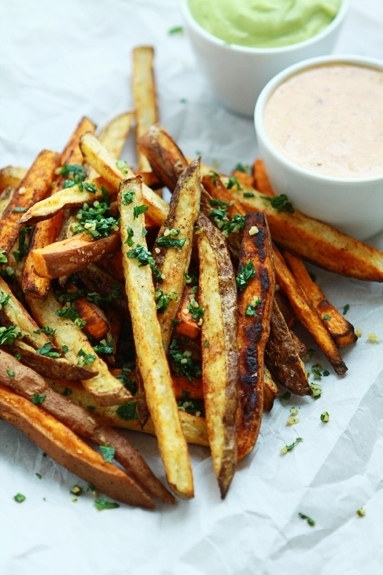 Roasted sweet potato wedges, roasted cauliflower or zucchini “fries” are great finger food vegetables that can be enhanced with a dipping sauce. I served these Tex Mex Sweet Potato Fries with two different dipping sauces– Chipotle Lime Ranch and Avocado Ranch Dipping Sauce. Vegetables don’t always have to be served in a pile on the side of the plate or eaten with a fork. Mix it up with serving methods like lettuce wraps, instead of traditional salad or side vegetable, kebabs, or other finger foods. 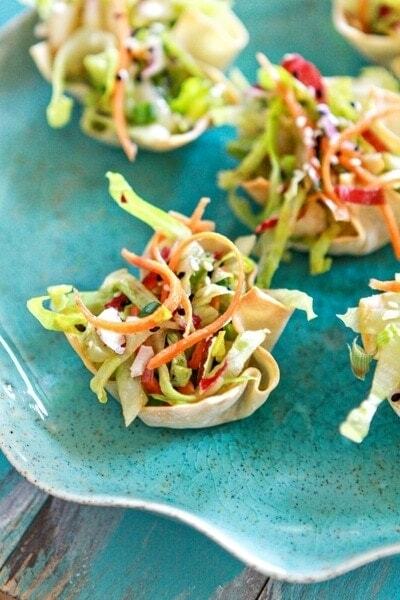 For example, this fun Asian Salad is served in a wonton cup as a colorful finger food instead of as a typical salad. 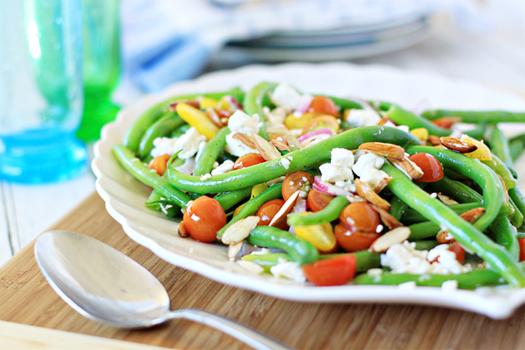 How do you dress up your vegetable side dishes to keep from getting bored? I have been invited to participate in a Marzetti® ambassador program. This post is sponsored by Marzetti and products has been provided by them. The opinions and ideas expressed here are my own.